Why should you consider having a personal wellness program in your life? Well, wouldn’t you rather move closer to health that toward sickness and disease? Would you rather live a long and health life or would you rather die prematurely from a debilitating and degenerative disease? Your ChiroHealth & Rehab of Chiropractor Fargo doctors know that if we aren’t intentional about taking care of our health then the only other alternative is that our health will steadily decline over time. Sadly most of the time we become aware of declining health is when there is already a significant change in our bodies or when a catastrophic event like a disease or illness hits, you become hospitalized or worse yet…die. As a country we are horribly unhealthy. One of the things your ChiroHealth & Rehab of Chiropractor Fargo doctors are very interested in is helping you become a much healthier version of yourself. We know that the primary killer of people in our country is chronic degenerative diseases. Want to know the really sad part? Nearly all of these diseases can be prevented by simply changing your lifestyle. Even more disheartening is the fact that as adults engage in unhealthy lifestyles, our children have no option but to watch and learn from us. Right now we are seeing a dramatic increase in diseases in kids that we normally don’t see until later in adulthood. For instance one of the fastest growing populations developing adult-type diabetes is in adolescents and young people. This is not the diabetes that typically happens to children, but rather the type of diabetes that we normally only see in adulthood because of chronic poor lifestyle choices. Every decision we make affects our health either for the better or for the worse. There is no neutral. You are either moving toward better health or toward disease and early death. Your ChiroHealth & Rehab of Chiropractor Fargo doctors know that everything you put in your mouth impacts the health of your body either in a positive manner or in a negative manner. We also know that health basically comes down to what we eat, how we think, and how we move. So, not only is it important to eat the right things, but it is also important that our body moves correctly. Being a couch potato or sitting for long periods of time will cause you to die early. The evidence is clear; inactivity is one of the most detrimental things we do to our health and, we spend WAY too much time being inactive. Another important part of health is how you think. Most people don’t understand that thoughts have a direct impact on what happens inside of your body. Your ChiroHealth & Rehab of Chiropractor Fargo doctors see the impact of stress on bodies every day. Most of the patients we treat have degenerated spines and bodies as a result of chronic stress. Chronic stress leads to the production of stress hormones in the body and these hormones have a very negative impact on the physiology and chemistry inside your body. Not only does it affect your heart and your cardiovascular system but it also affects blood sugar and virtually every part of your nervous system as well as the rest of your body. Besides how we think, it is just as important to pay attention to your movement. Your ChiroHealth & Rehab of Chiropractor Fargo doctors wants everyone to know that sitting has actually become the new smoking and, in fact is one of the biggest factors in the development of chronic diseases in this country. Sadly, most people spend hours and hours sitting either at work, at home or in school. Even more alarming is that the negative impacts of prolonged sitting cannot be undone just by exercise alone. In fact, if you sit for between 6 to 8 hours every day you cannot undo the damage even if you exercise for one full hour every day! Sitting not only causes an increase in blood sugar but it also decreases blood flow and decreases your body‘s ability to use oxygen properly. And, when you sit after a meal your blood sugar rises and stays high for much longer than it should. Not only that but the enzymes your body usually use to help burn fat and calories actually shut down. So, learning to move more and to move correctly becomes integral to your ability to not only live a more healthy life but, to avoid an early death. 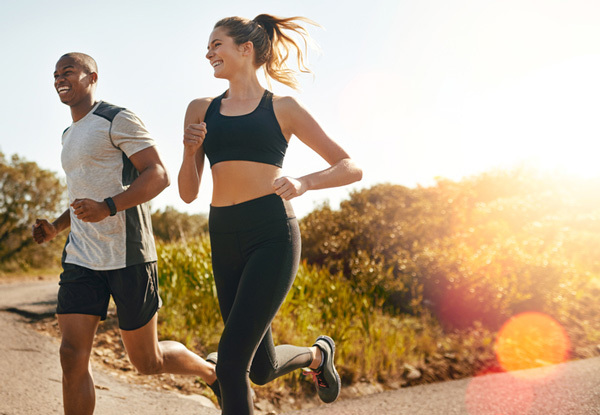 Your ChiroHealth & Rehab of Chiropractor Fargo doctors knows that there are a number of challenges you may face even if you have the desire to start exercising. Most people don’t know what the best form of exercise is and the dangerous part is that most people start exercising in ways that their body is not ready for or, worse yet, capable of doing. Many of the patients your ChiroHealth & Rehab of Chiropractor Fargo doctors sees every day have injuries that have come as a result of starting exercise programs that their body was not capable of doing. Even simple programs like walking, biking or yoga can cause injury and damage to your body if your body is not capable of moving properly. Restoring proper movement is one of the things your ChiroHealth & Rehab of Chiropractor Fargo doctors is an expert in. Starting a personal 90 day wellness program is important because it will help give you a roadmap you otherwise would not have. The plan will not only show and teach you what to do but how to do it. 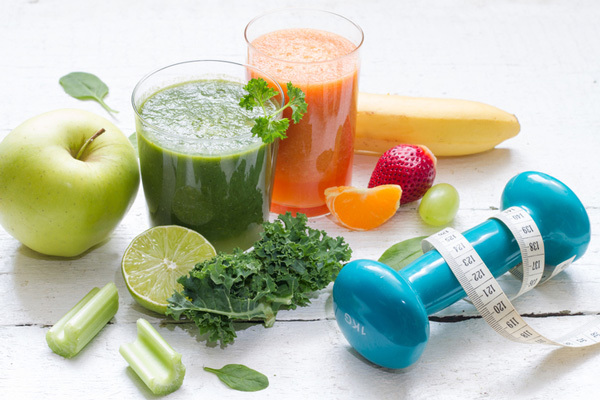 Too often people want to get healthy but they don’t know where to start. There is so much information out there most people give up looking and end of reverting back to their old way of living. Your ChiroHealth & Rehab of Chiropractor Fargo doctors does not feel that this is acceptable and provides a very easy to follow program that helps lay out the exact plan you need to follow in order to restore your health, improve your life and stop an early and preventable death. Well, unfortunately the testing that we use during routine physical exams and the bloodwork used can only detect show problems AFTER a disease has already started. The only way that blood work can show changes is if the damage has already been done. So, you really have no way of knowing if there is a change occurring in your body that will lead to sickness or disease because the lab work that doctors typically use only shows the impact after the disease process is already started. The wellness program used by your ChiroHealth & Rehab of Chiropractor Fargo doctors are different. What this program does is it allows for us to use scientifically backed research to identify where your risk level is for developing chronic diseases before it ever develops why is this important? Well this gives you the ability to make a change in your life and lifestyle BEFORE its too late and you develop a disease. This way you are able to make changes in your life and the life of those you love before having to wait until something drastic happens and it’s too late. The program is very simple to follow. Your ChiroHealth & Rehab of Chiropractor Fargo doctors will start with an assessment that helps to generate a score. Why is this important? Very simply, when you know your score, then you can then work to improve it. Not only that but the program helps to detail exactly what you should focus on right now to make the most significant changes in your health and help to improve your health score. You will absolutely love tracking your score and seeing how it changes in 90 days because as your score changes, you will know that you are having a dramatic impact on the health. Besides feeling significantly better with less pain and fatigue, you will have much better sleep and more energy. This will allow you to be able to engage in your life work and relationships much more deeply than you ever have before. So if you are somebody who cherishes their health and the health of their family, and you want to make sure that your future is a long and healthy one, your ChiroHealth & Rehab of Chiropractor Fargo doctors can help you accomplish this! The first step is to give us a call today and tell us that you want to become healthier and you want to make sure that you can do everything possible to help prevent chronic disease from robbing you of the enjoyment of your life and that of your family. Your ChiroHealth & Rehab of Chiropractor Fargo doctors will help you get started on a plan that will work with your lifestyle. These changes will help you make small steps over and over again towards huge improvements and changes that will have a lifelong effect and impact on your ability to live a long, healthy, happy and prosperous life. So, give us a call at 701-451-9098 today and we will help you become the healthiest version of YOU possible!